Jeff Herring has been a loyal friend of EzineArticles for quite some time. In fact, I learned about the power of his personal recommendation earlier this year when he helped Cathy Stucker and I promote the “Market With Articles” teleseminar. Jeff got started with us in late April of this year and he sent in 179 articles since then. He not only ‘gets it’, but he ‘drives it’ too! 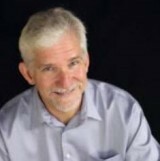 He’s got quite a bit going on, mostly centered around being a marriage and family therapist, relationship coach, speaker and nationally syndicated relationship columnist. I like how Jeff puts a lot of “universal laws” into his articles as it not only gives him more credibility, but they had strength or conviction to his articles.